S1 Developments completed the acquisition of the site in 2016 and developed a stunning scheme mixing 31 new-build and 12 refurbishment apartments. S1 then sold the refurbishment/conversion elements of the site to Square & Crescent and S1 completed the 31 new-build homes and landscaped gardens. 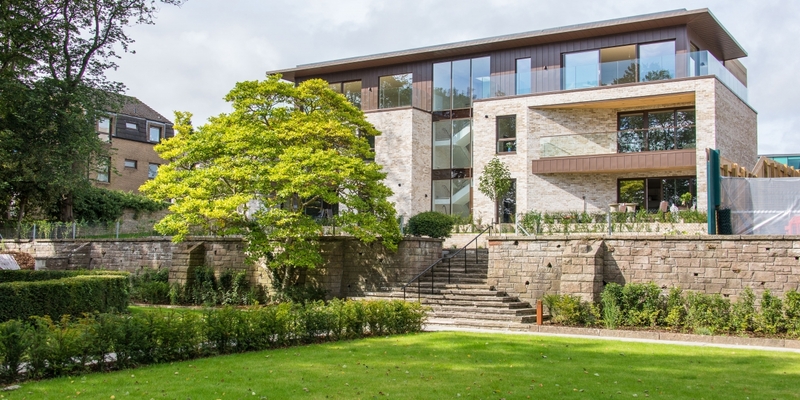 This low density/high quality project transformed the dilapidated school and listed gardens into one of Edinburgh’s most picturesque residential developments. The new build properties were carefully designed to emphasise the communal gardens and the stunning views over Edinburgh with nearly all benefiting from a balcony, roof terrace or private garden area. All S1 Developments’ properties were sold off plan 9 months before constructions works completed in May 2018.